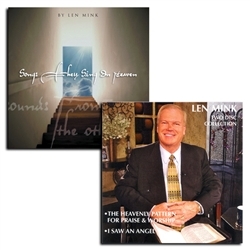 A one-of-kind and original collection of songs written by Len Mink - big band rhythms, jazz and scores that you will never forget. Songs include Within The Gates (The Transition), We Stand Before You, To The Father (From The Son), We Bow Down, Heaven Is A Happy Place, Holy, Holy, Holy, Song For Jesus, Throwaway Children, Holy Is The Name and I Saw The Lord. 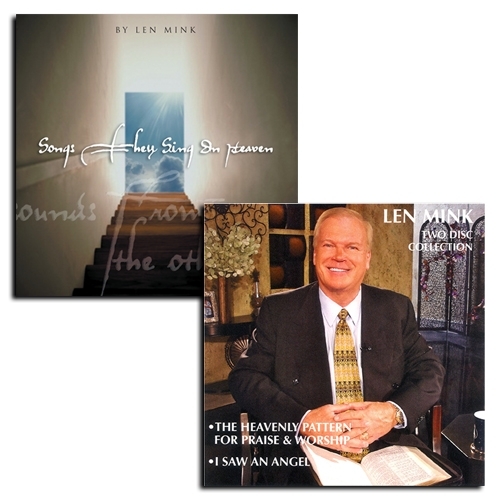 In this two-disc series by Len Mink, you will receive "The Heavenly Pattern For Praise And Worship" and "I Saw An Angel," Len's powerful testimony of seeing an angel during praise and worship at a Kenneth Copeland meeting. Both of these messages will bless, inspire and take you to a new level with your worship life.